Today's Resource: Have you seen the Government Department at our KGOV Store? 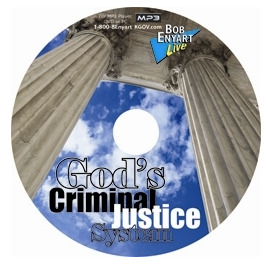 We are featuring our classic God's Criminal Justice System seminar and our important videos God and the Death Penalty, Live from Las Vegas, and Bob on Drugs DVDs, and our powerhouse Focus on the Strategy resources! The death penalty is at the heart of the Gospel of Jesus Christ and the Bible is a criminal justice textbook. Won't vs. Can't: Public policy should prioritize deterrence over interference. Human beings are almost infinitely creative. Thus, a government's top priority should be making it so that people won't commit crime rather than that they can't commit crime. See this at kgov.com/crime.